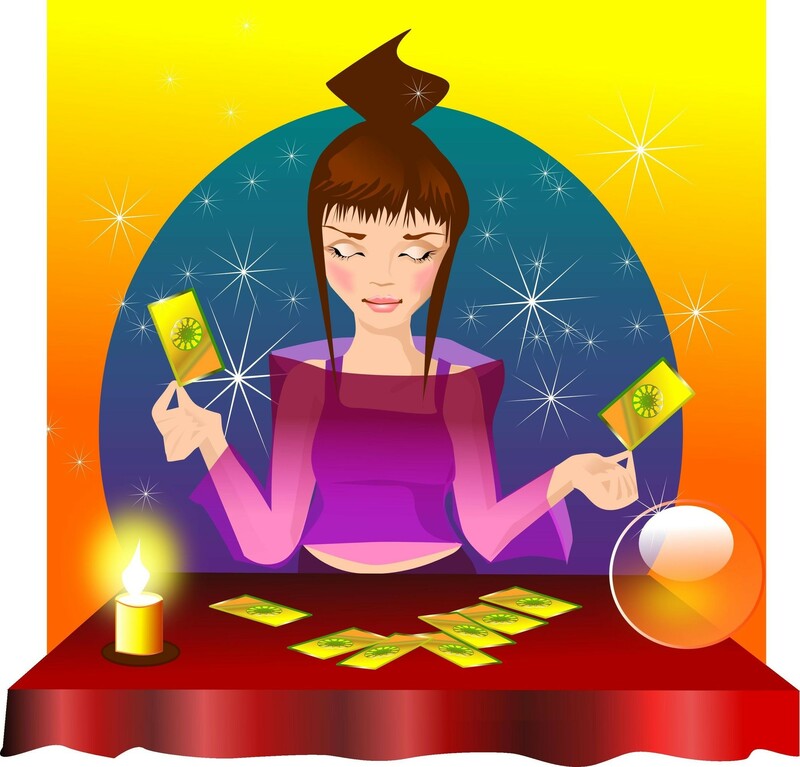 Whether you are getting a reading from someone else or you are doing a Love Tarot reading for yourself, there are some scenarios you will want to avoid since they potentially could render the reading null and void, wasting your time and/or money. Or worse – giving your false hope when their should be none. Maintaining objectivity is extremely hard when reading about love… the heart wants what it wants! Read about these eleven common blunders to help rein yourself in before getting or doing a love Tarot reading. Reading on the same question over and over again – This is possibly the most common mistake beginners make, mostly because they don’t trust what they get the first time around. It’s very easy to start second-guessing your interpretation, especially if the cards were less than friendly or you didn’t like the outcome. Trying advanced spreads too soon – Overreaching is another common mistake. Sticking to simple three card spreads is a good rule of thumb when you first start reading for yourself. Cards in large spreads interact with each other and understanding exactly how is a complex process better left to the more advanced reader or the professional. Reading with rose-tinted spectacles – Always choosing the most positive slant on the reading is a serious temptation when reading about a possible relationship or love interest. Try reading as if reading for someone else. Recording your voice as you do so and listening back is a quick remedy for the tendency to romanticise card meanings. Expecting whoever is reading for you to be able to mind-read – As a reader, I can’t begin to tell you how frustrating this is. When you go to a reader with your relationship question, the point is not to test them by giving them as little information about the relationship as possible to see if they are ‘genuine.’ A Tarot reader may or may not be psychic but that’s by the by. The point is that in order to give a relevant interpretation that makes sense to your particular situation and provides useful guidance for the future, the reader needs the bare bones of the back story. Also, the more specific the question, the more specific and practical the advice. Your reading really is only ever as good as your question. Reading on every little issue that crops up when you first start dating someone – It’s understandable to want to stay in control but trust me on this – if you try to control your relationship or your lover, you will end up choking love to death. Let go, live in the moment… use common sense… and most of all – enjoy! Are you the jealous type? Then you may fall for the temptation of using the cards to spy on your love interest. There is a saying for this in the Bible: ‘Brother, let me take the speck out of your eye,’ when you yourself fail to see the plank in your own eye? I’m not a Bible-believing Christian but I do feel the wisdom of this passage so hard. The Tarot is the best plank-removal tool in the history of mankind and that is how it should primarily be used. Also, how would you like it if someone used the cards to spy on you? The Golden Rule applies. You do have a right to read on issues that involve both of you but the main focus should be on the only person whose actions and choices you can control – yes, you! Reading on your love interest’s love interest (third party reading) – Everything I just said above and then some applies to this blunder! Reader-hopping, hoping to get the desired news from a reader – Some people who go for a reading just won’t accept ‘bad news’ or what they perceive as bad news. Perhaps the reader framed it poorly. Perhaps it didn’t even matter how it was framed because only the hoped for answer will be ‘right.’ Either way, the only result you can ever get from reader-hopping is confusion. It creates bad karma all around and that is why I refuse to read on questions that another reader has recently read on. Not taking a minute before you begin to ground and centre – Most people who are absolute noobs don’t actually fall for this one. It is more likely to occur when the learner reader begins to feel a bit more cocky and starts ‘throwing a card’ for almost any question that pops into their mind. You may not need to light incense, cast a circle and invoke a deity before you begin but for chrissake, at least take a few deep breaths to relax and clear your mind. Clutter in = clutter out. Not writing down your question when reading for yourself – I’d go even further and say, write down all your feelings about the situation you are reading on too – that way you get a subjectivity check before you even start reading. Not following up on readings done for self – The point of documenting your question is so that you can follow up and make a note of the outcome/learning process. This truly is the only way of developing objectivity.